Dr Angela: So, firstly, how did you get started as an editor? Was it a first love or a deep-seated desire to correct others? Mr Jones: As much as I love correcting others (mainly because – in my mind at least – I’m nearly always right! ), I never actually expected to become an editor. My family has no literary connections and so, except for a love of books and comics and monster magazines when I was younger, I never really saw myself being any way involved in the publishing industry. I am, if nothing else, aware of my limitations, and I realised very early on that there were always going to be people out there who would be able to write fiction better than I ever could. Therefore, when I began contributing to fanzines in the early 1970s, I sent them non-fiction columns and articles rather than badly written fan fiction. These articles were invariably based around my love of movies. From there I moved on to editing my own small press magazines and that, eventually, led to editing books. So, as a person of limited skills, that’s pretty much what I’ve done since. I should stress now that was never The Plan. In fact, I’ve never really had a “Plan” of any kind. There are things that I’ve wanted to do in my life, and some I’ve been very lucky to achieve. Of course, there are numerous others that I’ve failed miserably at. Dr Lisa: Are there any current trends in horror fiction you’re keen to see die? Mr Jones: Where shall I start . . .? When it comes to current trends in horror fiction, I’d like to see most of them go away – from such pointless sub-genres as “paranormal romance”, “urban fantasy” and the “new weird” to the kind of obscenely violent and misogynistic crap you can find online or in the micro-publications. I’m not advocating a return to the past – god knows, of all genres, horror should be about what we fear now – but I do think that the field has lost its way somewhat over the past decade. And some of the blame for that has to be laid at the door of the low standards exemplified by various awards systems, low-rent publishers, and the current batch of dumb and derivative movie-makers. 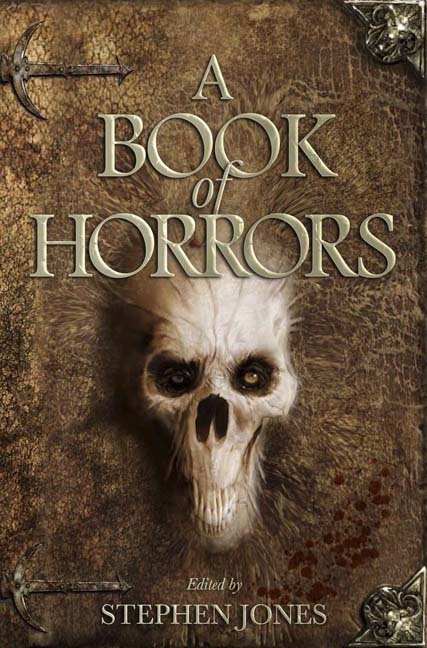 I was thinking only the other day that if I wanted to create a new sub-genre (which I don’t, by the way), I would term it “literary horror” – meaning stories that are scary or unnerving, but which are also written with style and panache. The kind of horror stories I grew up reading by Ray Bradbury, or Richard Matheson, or Charles Beaumont. Beautifully crafted, but with the power to still scare the crap out of you! 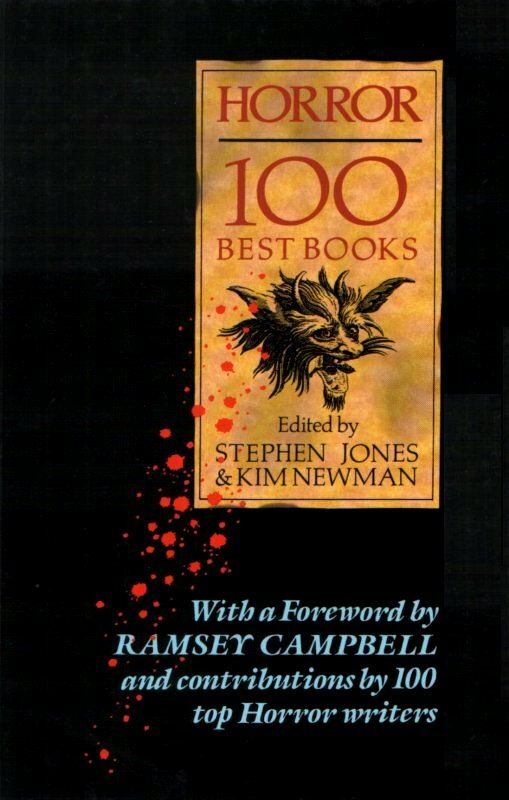 Obviously, we are fortunate to have many writers who still do just that – Ramsey Campbell, Graham Joyce, Dr Lisa Tuttle, Reggie Oliver, Caitlín R. Kiernan, Lucius Shepard, John Langan and many others including, dare I say, Angela Slatter – where reading their work is as much of a pleasure because of the language and characterisation as it is for their storytelling ability. When I read a book or a short story, I want to be moved as much by the technique as I am by the narrative. It’s the same way with movies – when I watch a film by Orson Welles or John Ford or Fritz Lang or Jean Cocteau, I know that I am watching a great stylist telling a story in their own unique manner. I only wish we had more people working in the horror field who were great stylists and not just desperate hacks. Dr Angela: Obviously there’s been a lot of work to get to where you are today – you’re in a position to topple governments – what would you say were the milestone moments in your career? Mr Jones: I wish I had that kind of power! Sometimes I still can’t get a cover changed on one of my own books! In a career as long as mine, there have been a great many of milestones: from meeting people such as Ramsey Campbell, Karl Edward Wagner, Dennis Etchison, Charles L. Grant, David Sutton and so many others who have helped me immeasurably over the years . . . working on the first three Hellraiser films with Clive Barker . . . meeting, and hanging out, with my literary heroes, such as Manly Wade Wellman, Robert Bloch, Ray Bradbury, Richard Matheson, Hugh B. Cave, Harlan Ellison, Robert Silverberg, R. Chetwynd-Hayes, Basil Copper . . . meeting Peter Cushing, spending a magical afternoon in a recording studio with Christopher Lee, and receiving a phone call from Vincent Price . . . helping to run some of the best World Fantasy and World Horror conventions ever held . . . and just regularly spending time with friends and colleagues like Jo Fletcher, Michael Marshall Smith, Neil Gaiman, Peter Atkins, Randy Broecker, Kim Newman, Peter Crowther and all those other people who make my day-to-day existence that little bit more pleasurable . . .
And yes, I know it sounds trite, but every new book I do is also milestone. After all the months of hard work and the energy that I put into each one, it’s still a thrill when a new title comes out. Although, usually, somebody has somehow managed to screw up it up, so it’s never quite as perfect as I imagined when I was working on it. That is why publishing for me these days is also a series of petite morts – little deaths – but sadly not in the more pleasant meaning of the phrase! Dr Lisa: Friendly zombies, sparkly vampires, young and hip witches, and telepaths with raging hormones have all been flooding the market in recent years . . . Does this ‘paranormal romanticising’ of horror fill you with despair? Or is the market hearty enough to support ‘fluffy’ horror and horror that’s actually . . . well . . . horrifying? Mr Jones: Well, as I recently said in my Introduction to A Book of Horrors, it’s not my kind of horror. But then again, so much of what is being produced today is not what I would term “horror” in the first place. It may utilise the tropes of horror, but it is so far removed from the emotions that good horror fiction should elicit in a reader that – as I have now come to understand – it should be considered a totally different genre. The odious Twilight books and films have nothing whatsoever to do with horror fiction, beyond obviously using vampires and werewolves to put across its own message about sexual abstinence in teenagers. The same is true of “urban fantasy” and “paranormal romance” – they have nothing in common with horror (beyond a few surface trappings) – and we would be wrong to claim them as our own. I have always been an “inclusive” writer and editor – hopefully pushing the boundaries of what is considered genre – but I realise now that this type of fiction is not, for want of a better description, “horror”. These “trends” in publishing come and go, but genuine horror fiction has been around for centuries, and it will continue to be so long after the latest “best-selling” marketing tool is gone and forgotten. The best writers write what they want to write, not what the market dictates. Those are the stories that we will remember long after the current fads are replaced with something equally asinine. So yes, for a while I was filled with despair at what was happening to horror, but I can now see that all this crap that’s taking up shelf space in bookstores is, at best, transient – it won’t be around forever. Once the market flattens out, most of the writers and publishers will move on to something else. And the sooner the better in my opinion. Those of us working in the horror genre will still be around. Well, at least, I hope so . . .
Dr Angela: Best thing about being an editor? Mr Jones: Working from home every day. I get to do what I want to do, when I want to do it. My office is a converted upstairs bedroom, where my desk looks out over the back garden, so the view changes with the seasons. I live and work in my own little world, which means I can take a break for tea or lunch whenever I want. Despite that, I still work “office hours” – usually 9:00 am to around 6:00 pm, with half-an-hour off for lunch – mostly 5-6 days a week, or longer if I have a pressing deadline. In fact, I pretty much work in some capacity (writing, editing, reading, meetings, correspondence) every day of the year except Christmas Day (when I still sneak a look at my e-mail!). As I’ve said many times: I do what I love, and I love what I do. Dr Lisa: If you could resurrect an author from the past in order to collaborate with him/her on a new project, who would it be? What would you hope to produce? Mr Jones: Hmm . . . good question. 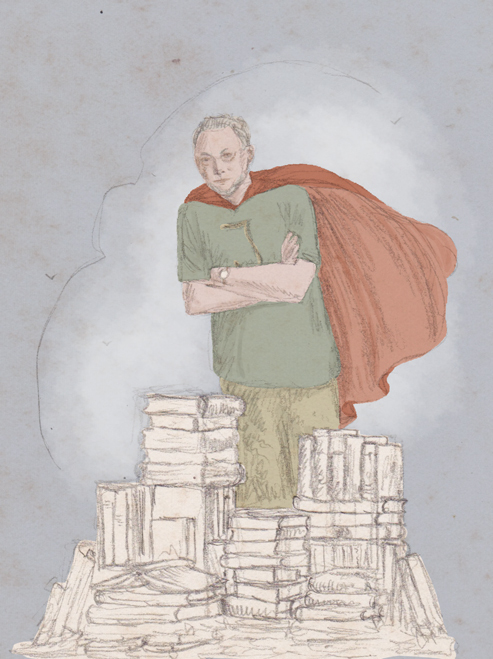 I guess I have two “heroes” I would love to have worked with: The first, from a literary standpoint, is the American writer and editor August Derleth, the founder of Arkham House. He died the year I pretty much started in the genre – 1971 – so I never had any contact with him. I truly admire Derleth’s work ethic and, like me, he was a bit of a polymath (although, if anything, he worked even harder than I do). He probably wasn’t the best editor, the best author, the best publisher in the world, but he turned out a remarkable body of work and, from everything I’ve read and heard about him, he was loyal to his friends and looked after his authors. And that’s pretty much the best you can ask for. My Innsmouth series of anthologies are my tribute to him, but I would have loved to have co-edited a supernatural fiction anthology with him. I like to think that we would have worked well together, and even today I see similarities in our career paths. 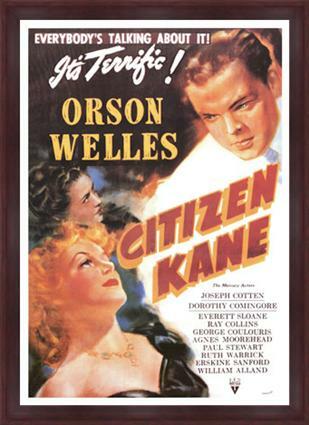 My other “hero” would be Orson Welles – I’m fascinated in the manner he lived his life backwards: He began his career as the “wonder kid”, making such classics as Citizen Kane and The Magnificent Ambersons, and ended up pretty much a caricature of himself, earning money from voice-overs and TV commercials. I would have loved to have had the opportunity to have worked with him on any project – from a movie to a book. Again, Welles was a polymath, which is why I think I am fascinated by him and his work. In fact, both Derleth and Welles were not always given the respect they were due during their lifetimes, and it is only in retrospect that we can stand back and truly appreciate their individual contributions to the varied media they worked in. I think that’s true of most creative people: we kind of work in a “bubble”, surrounded by all the other things that influence our day-to-day lives. Only history will be able to look back on what we achieved and decide if we made a difference or not. Unfortunately, most people are no longer still around to hear that pronouncement on their lives, so it is my belief that we just have to do the very best we can while we are here, and leave the rest up to posterity. However, I have certainly always made a point of trying to honour those people I respect while they are still among us to enjoy the accolades for their work. It is always a pleasure working with some of the older writers and helping to bring their writing to the attention of a new generation of readers. Dr Angela: Worst thing about being an editor? Mr Jones: Working from home every day. That “bubble” I work in often means that I don’t leave the house for days at a time. In fact, if it wasn’t for e-mail and phone, I would probably have very little social contact with the outside world at all! Editing – like writing – is a lonely profession. I absolutely love getting into a book and working on it all day, but sometimes you miss that human interaction that people who work in offices have. That’s why writers sometimes go nuts at conventions – there’s a great sense of freedom, the opportunity to get out and be “let off the leash” with friends and colleagues for a short while! Dr Lisa: What are you (and your clone — surely you must have one) working on next? Mr Jones: Oh, trust me, there are plenty of people out there who are busier and work harder than I do. As I get older, I definitely feel myself slowing down these days. As always, I’m working on the latest Mammoth Book of Best New Horror. We’ve been going so long now that we are starting to break some records! I’m also having a ball putting together the second volume of Zombie Apocalypse!. It was always conceived as a trilogy, and the publisher has already commissioned the third volume. I love the ZA! books because they are unlike anything else I’ve ever done before. They are hugely exciting and creative for everybody involved. It seems that people either love them or hate them – the North Americans, in particular, hated the first volume, but I think that’s perhaps because they didn’t understand it: they were expecting some kind of anthology, and that’s not what they are. It also hasn’t stopped the first one going through seven printings so far! Beyond that, I’m also doing another Mammoth anthology for Robinson, and hopefully a new Innsmouth anthology for the revived Fedogan & Bremer imprint, and another big book of classic stories for Jo Fletcher – we have a huge volume of M.R. James coming out this year, illustrated by Les Edwards. I also have a string of projects to do for the lovely Pete and Nicky Crowther at PS Publishing, from more reissues of Basil Copper’s work to original anthologies and maybe even a movie art book sometime down the line. And, of course, on top of all that, we’re gearing up for World Fantasy Convention 2013 in Brighton, which I am committed to making the best convention I have ever worked on. It’s going to be the last convention I help organise (again, I’m getting too old for this stuff), and so I want to go out with a bang. We already have some incredible guests announced, with many more surprises to come over the next year or so. Dr Angela: Do you think the anthology has a future? Can they only survive if there are big names attached to them? Mr Jones: Oh, I definitely think that the anthology will survive! Although in what format I am not sure. Things are changing incredibly quickly in publishing these days, and although I think that the print book will always survive in some form, I’m now not sure for the first time in my life that it will be the primary method for delivering words for much longer. New technology is creating all manner of new methods for presenting entertainment and information, and the publishing industry has to make sure that it keeps pace with those changes. I’ve never sold an anthology on the basis of the names involved, and I have no plans to start now. I think it’s rude. If the only way you can sell a book is by throwing money at this name or that, then perhaps the concept behind the anthology is not worth exploring in the first place! I think very carefully about the ideas behind my books – and why I want to do them – before I ever offer them to a publisher. Any idiot can throw a bunch of zombie stories together and call it an anthology and, in my opinion, way too many people are doing just that at the moment. The market – particularly in my genre – is saturated with anthologies. I’m not convinced that the horror field can sustain the number of anthologies being churned out by numerous small publishing imprints, plus we also need to ask ourselves if we really need another compilation of vampire stories, zombie stories, monster stories, or whatever. Slapping together a bunch of stories and paying the authors a minimum rate to reprint their work is not likely to create a book that people are going to remember in ten or twenty years time. But then again, most people don’t care about that anymore. It’s all about the quick money. It’s all about the recognition. Most people don’t care about career paths or posterity anymore, and perhaps they are correct. But if you don’t have experienced editors who can nurture and build new authors through their short fiction, then you are eventually going to end up with a genre that is all the poorer for its lack of foresight. Just because something “sells” now doesn’t mean it’s any good. Look at the “romantic comedies” churned out by Hollywood; look at the kind of music that comes from “talent” shows like American Idol or X Factor; look at the “stars” created by “reality” TV; look at the books being published as “paranormal romance”, “urban fantasy”, “steampunk”, “apocalyptic fiction” and all those other pointless sub-genres that are currently “hot”. Most of them will not be remembered in a few years’ time, let alone after a decade or so. What do they add to our combined knowledge, our culture, our arts? Nothing. Most of this stuff is as disposable as a cup of latte. In the same way that high streets around the world seem to consist of nothing but identical coffee shops these days, so the creative arts are swamped by mindless, disposable rubbish that will have no lasting impact on anybody’s life in any meaningful way. Everything is so superficial these days – even fiction – that nobody cares unless they can make money off it. Just because a book is not a “best-seller” doesn’t mean that it is not a good book; just because a film isn’t a blockbuster, doesn’t mean that it isn’t a good movie, and just because a music isn’t a “hit” doesn’t mean that we will still not be listening to it for years to come. There’s a reason why we are still reading long-dead authors such as H.P. Lovecraft, Robert E. Howard, Clark Ashton Smith, H.G. Wells, M.R. James and so many others when writers of the 1980s and ’90s, who were considered “best-sellers” then, are now out of print and totally forgotten. As I said earlier, history has a way of sorting this out. I’ve always been in this genre for the long game. There’s no point doing a book unless you first ask yourself, “Why should this book exist? What does this book offer that others do not?”. I’ve never been interested in jumping on bandwagons, or taking advantage of current trends (although it is always nice when a title sells well), and I want to be able to look back on my career and be able to say to myself, about any title that I’ve done, that I did the best I could at that time. I’m very proud of all the books I’ve been involved with – even the “work for hire” projects – and I still get a thrill when a title sells to a foreign market or gets reprinted again, years after it was first published. That’s what building a career is all about. Dr Lisa: You are incredibly prolific – most people couldn’t imagine publishing one anthology a year, much less ten – so tell us: have you got a clone locked up in a room somewhere, editing his duplicated fingers off? How do you balance so many projects at once? Mr Jones: Actually, I’m not all that prolific – editors such as Martin H. Greenberg or Mike Ashley have produced a great many more titles than I have. I just have a good work ethic: get the job done first, then goof off. It also helps that I truly enjoy the work I do – I am extremely grateful that publishers pay me to do this job and readers continue to buy the books that I produce. I have also learned that working on different types of books – anthologies, single-author collections, non-fiction – keeps the work fresh and interesting. Yes, there are days when I’m not in the mood, or overwhelmed, and then I’m down the pub, or watching a DVD, or answering questions for an interview like this! The secret is to always be engaged with something creative – whether it’s reading a book, having discussions with friends, or watching the latest episode of Doctor Who! It helps recharge the batteries and gets you ready to go back to work again. Of course, the other reason I publish four or five books a year is because I need the money. Unless you’re very lucky, there’s not much money in editing (even less than there is being a novelist) because you share any advance and royalties with the contributors to the book. And that’s absolutely how it should be. Anthologies are a joint creative effort, and everybody should share in any success. If everybody has done their best work – editor, authors, publisher – then that anthology will hopefully sell, and keep on selling, generating a small amount of income for years to come. At least that’s the idea. And those little bits of money here and there are what keep me going. It’s not the easiest life in the world, but if I had wanted security, then I could have gone and worked in an office. Editing is a calling – it’s what I have to do. It’s what I need to do. As I said earlier, I can’t imagine a better job. And so long as I can keep coming up with projects that interest me and, more importantly, the readers, then I will be content to keep working on anthologies until the day I die. No doubt over a keyboard typing words such as th . . . 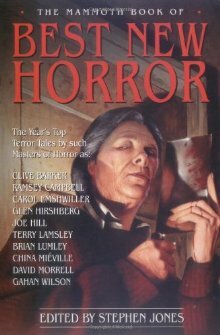 Tags: a book of horrors, August Derleth, Basil Copper, Charles L. Grant, christoper lee, Clark Ashton Smith, clive barker, David Sutton, dennis etchison, h p lovecraft, H.G. Wells, Harlan Ellison, hellraiser, Hugh B. Cave, Innsmouth, jo fletcher, Karl Edward Wagner, kim newman, M.R. 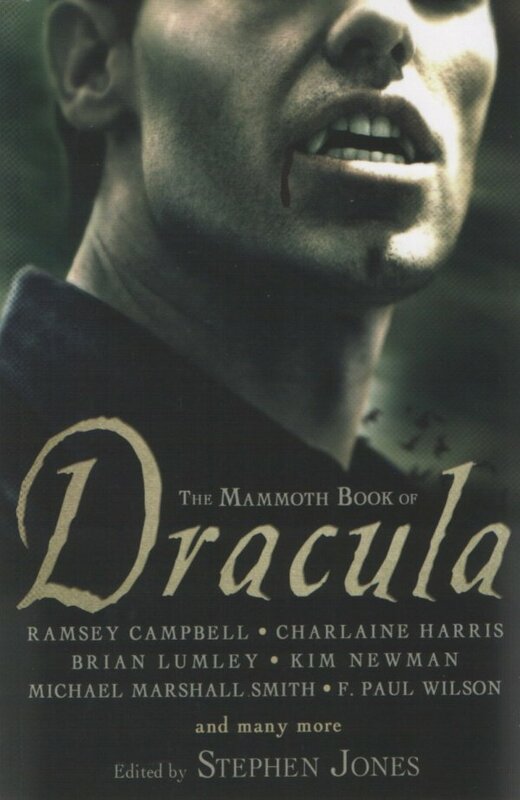 James, Mammoth Book of Best New Horror, Manly Wade Wellman, Martin H. Greenberg, michael marshall smith, Mike Ashley, neil gaiman, Peter Atkins, peter crowther, peter cushing, R. Chetwynd-Hayes, Ramsey Campbell, Randy Broecker, Ray Bradbury, Richard Matheson, Robert Bloch, Robert E. Howard, Robert Silverberg, stephen jones, the founder of Arkham House, vincent price, world fantasy convention 2013. Bookmark the permalink. Previous post ← Clarkesworld interview!